With its Diamond Source Initiative, Tiffany is tracing each of its individually registered diamonds (0.18 carats and larger) by a unique “T&Co” serial number etched by laser and invisible to the naked eye, and providing consumers geographic sourcing information specific to their diamond. Beyond general assurances of “conflict free,” Tiffany believes that knowing provenance is critical to ensuring its diamonds are among the most responsibly sourced in the world. • Tiffany will begin including provenance on the Tiffany Diamond Certificate for individually registered diamonds, alongside the stone’s other specifications, information not made available on other industry lab reports or by other global luxury jewelers. • Tiffany will begin sharing craftsmanship journey (such as cutting and polishing workshop location) in addition to provenance. Although current diamond industry practices preclude the identification of provenance for many of the world’s diamonds, Tiffany continues to lead the industry by bringing a new level of transparency to its diamond supply chain. 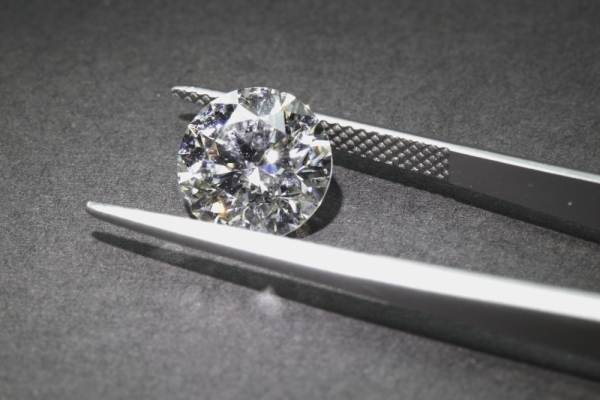 In cases where provenance is unknown – such as heritage stones that predate this policy – Tiffany will provide confirmation that the diamond was sourced with industry leading practices. Tiffany’s superlative standards exceed the Kimberley Process Certification requirements for rough diamonds and, for polished stones, mandate compliance with Tiffany’s Diamond Source Warranty Protocol. In the case of one trusted supplier with several responsibly managed operations, diamonds may be designated ‘Botswana sort.’ The majority of these diamonds were mined in Botswana, as well as in select mines in Namibia, South Africa, or Canada. For ‘Botswana sort” stones, provenance is the above grouping of countries, procured as an aggregated parcel of rough diamonds from a specific, limited group of mines in Southern Africa and Canada. Tiffany & Co. is unique among global luxury jewelers in owning and operating its own diamond polishing workshops around the world – where 1,500+ Tiffany artisans ensure superlative diamond quality and craftsmanship. To highlight this competitive difference, by 2020, Tiffany will also share the craftsmanship journey of its diamonds along with its provenance. Since 1999, Tiffany has been investing in vertical integration and prioritizing its supply chain transparency. 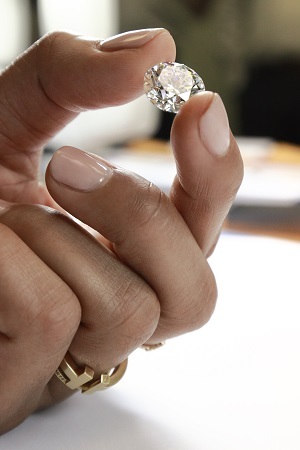 Approximately 80-90% of Tiffany’s individually registered diamonds (by volume) have been supplied through Tiffany operations in Belgium, Botswana, Mauritius, Vietnam and Cambodia, where craftspeople plan, saw and/or cut and polish rough diamonds from known, responsibly managed mines, most of which are in Botswana, Canada, Namibia, Russia and South Africa. For the remaining 10-20%, Tiffany’s trusted suppliers of polished diamonds have complied with Tiffany’s Diamond Source Warranty Protocol, which warrants the diamonds did not originate in countries with diamond-related human rights concerns, such as Zimbabwe and Angola (even though these diamonds are accepted under the Kimberley Process). Tiffany & Co. has long been transparent about its commitment to environmental and social responsibility through its sustainability reporting (www.tiffany.com/sustainability) and now will take this one step further for our customers in an effort to usher in a new era of diamond provenance transparency. Today, with more than 13,000 employees, TIFFANY & CO. and its subsidiaries design, manufacture and market jewelry, watches and luxury accessories – including more than 5,000 skilled artisans who cut diamonds and craft jewelry in the Company’s workshops, realizing its commitment to superlative quality. The Company operates more than 300 TIFFANY & CO. retail stores worldwide as part of its omni-channel approach. To learn more about TIFFANY & CO. as well as its commitment to sustainability, please visit tiffany.com.